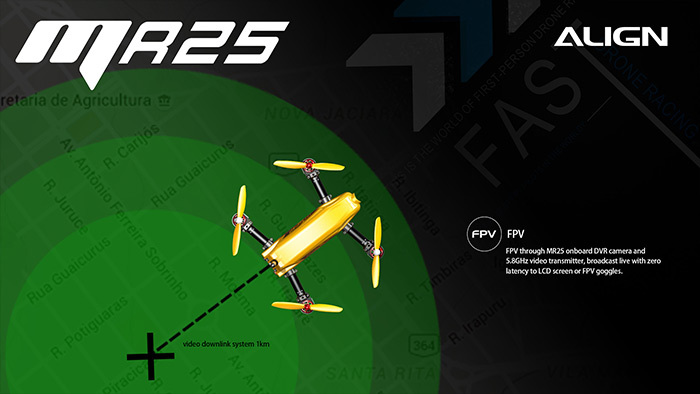 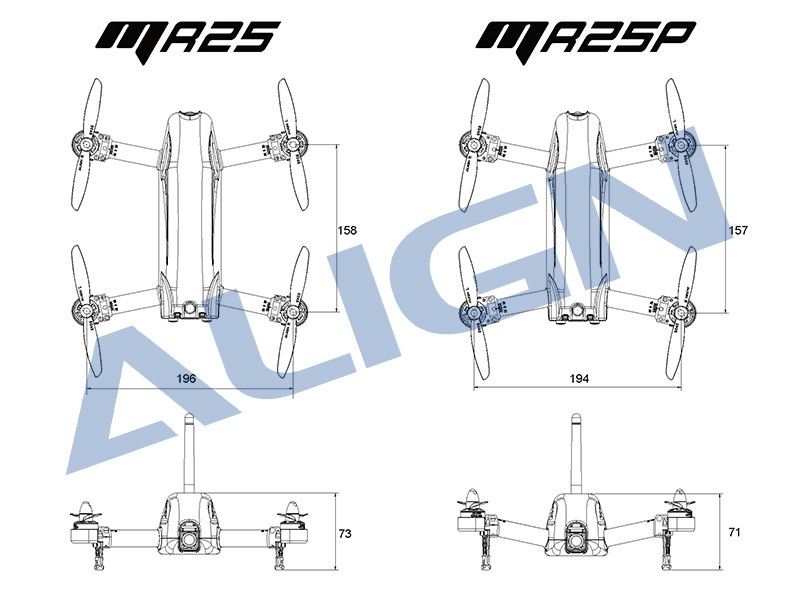 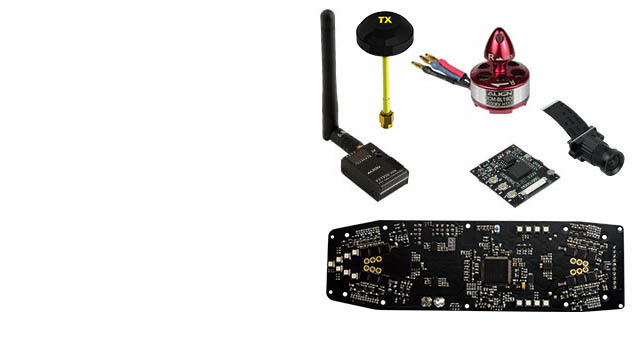 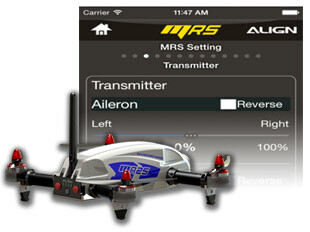 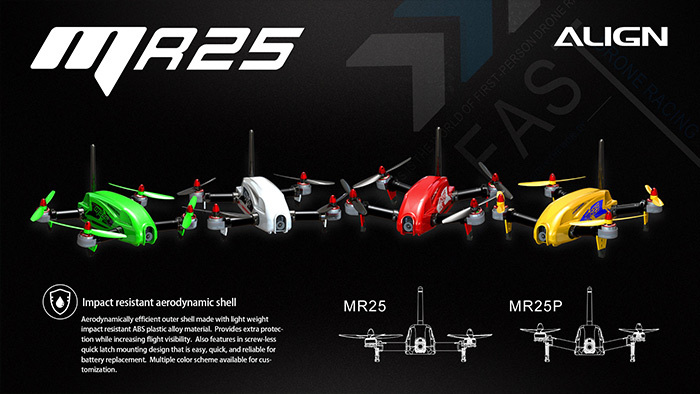 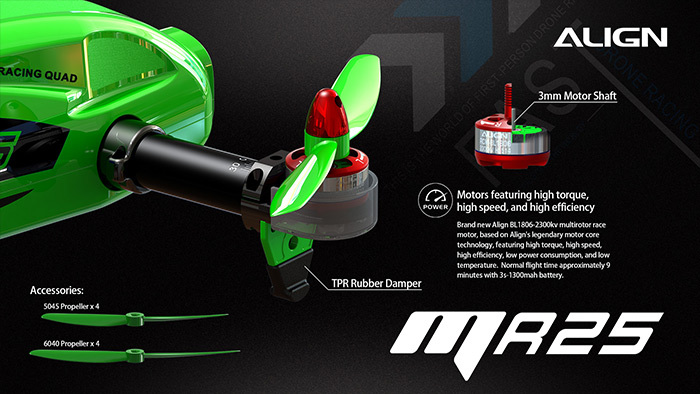 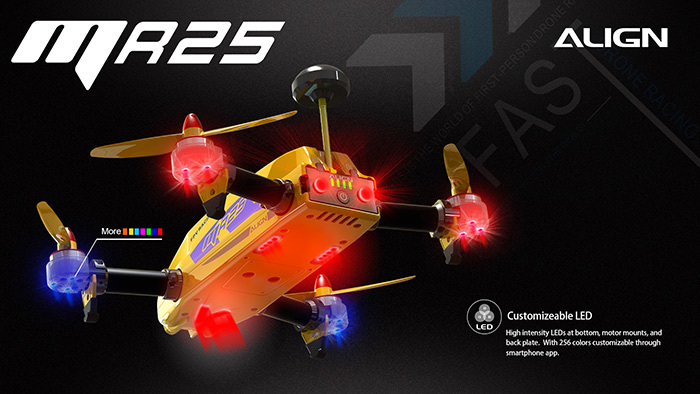 With all the top and modern Elec technology, the MR25 is equipped with 7 in one: Flight Controller system, utilizes a 32 bits high speed processor that results in a highly stable and reliable performance. 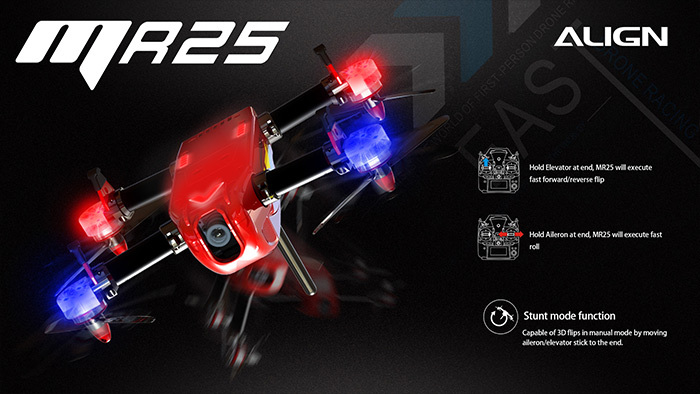 Providing the most effective way of system and camera setting adjustment via APP iOS & Android system, as well as with Bluetooth 4.0 compatibility featuring low power long distance high speed transmission. 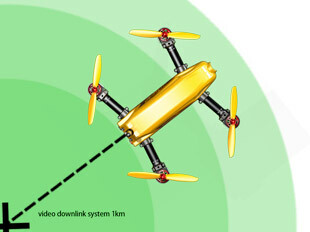 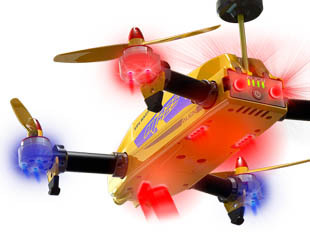 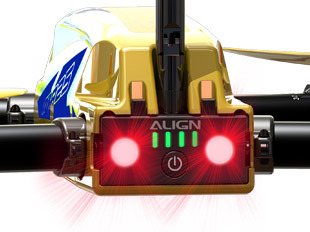 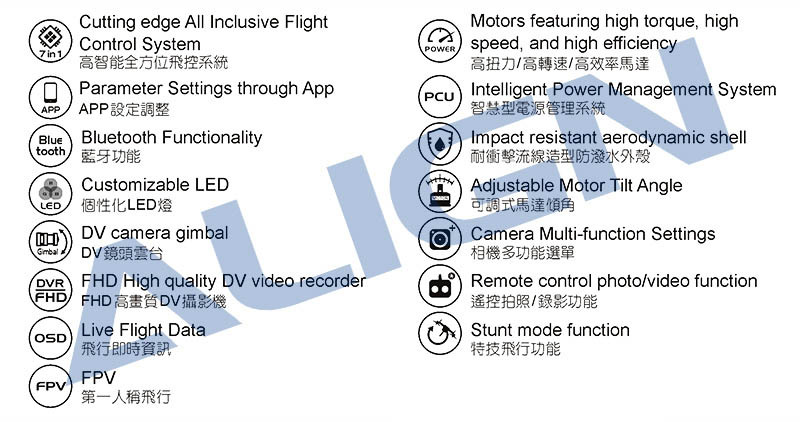 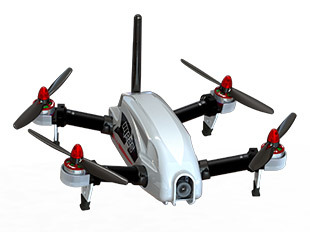 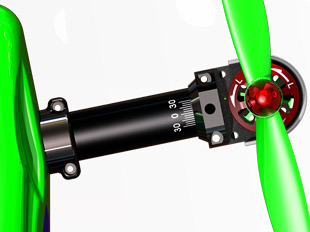 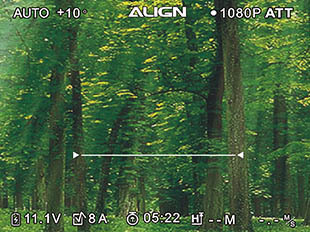 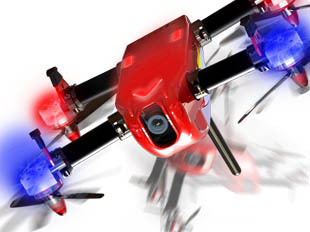 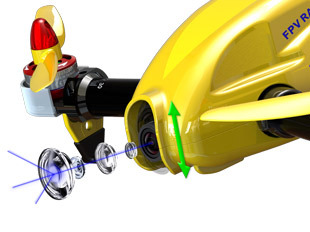 The ideal Tilt angle camera provide instant tilting compensation in high speed flight. 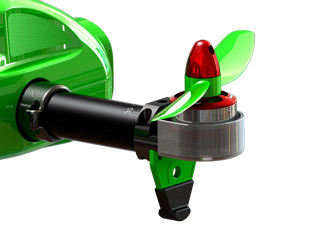 High intensity LEDs at bottom, motor mounts, and back plate. 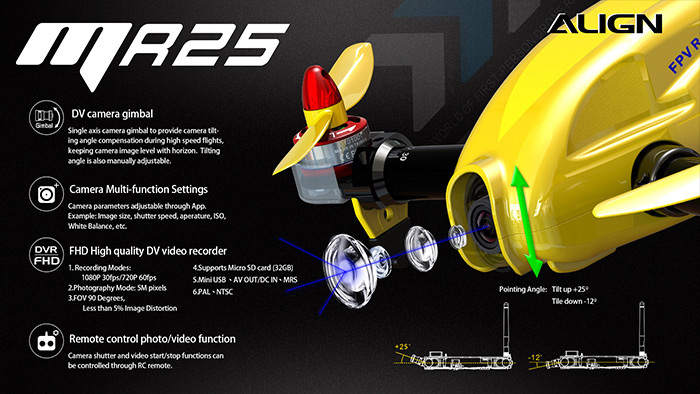 With 256 colors customizable through smartphone app. 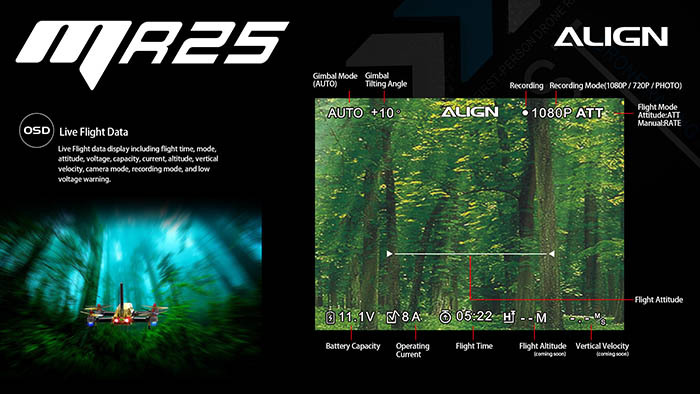 High Definition DV Video Recorder(1080P 30fps). 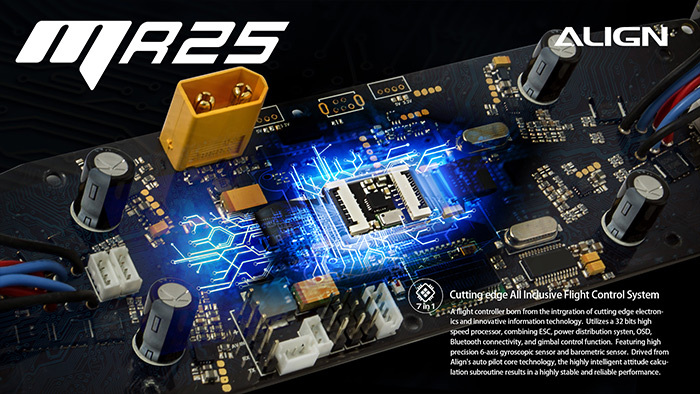 Supports 32G SD card. 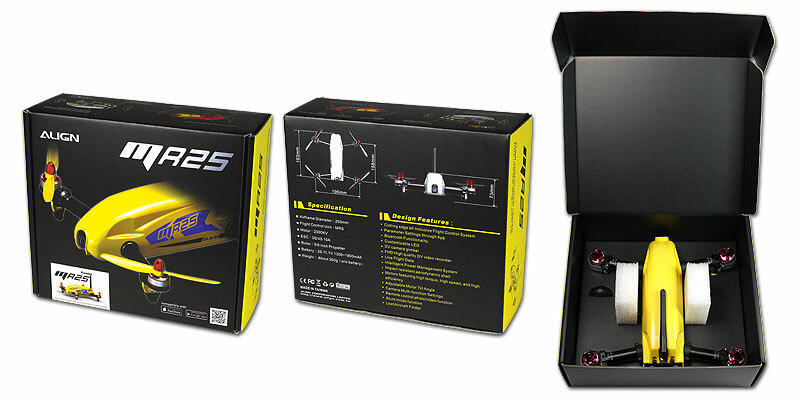 Live Flight data display including flight time, mode, attitude, voltage, capacity, current, altitude, vertical velocity, camera mode, recording mode, and low voltage warning. 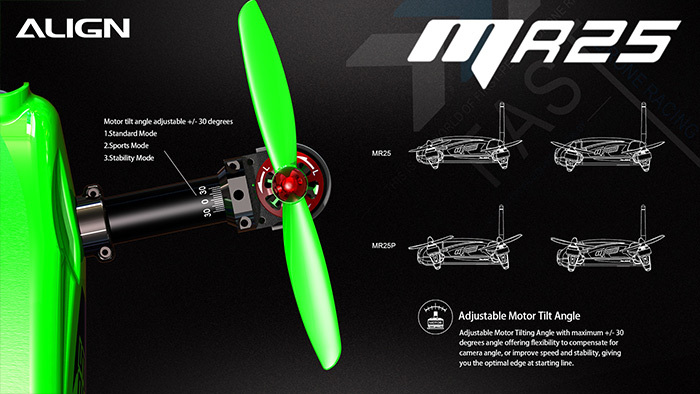 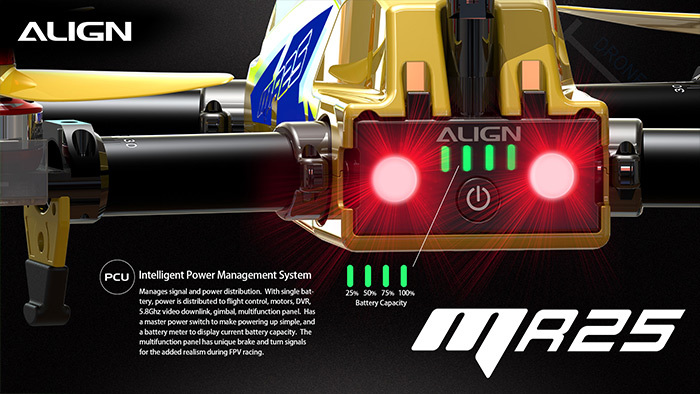 Brand new Align BL1806-2300kv multirotor race motor, based on Align's legendary motor core technology, featuring high torque, high speed, high efficiency, low power consumption, and low temperature. 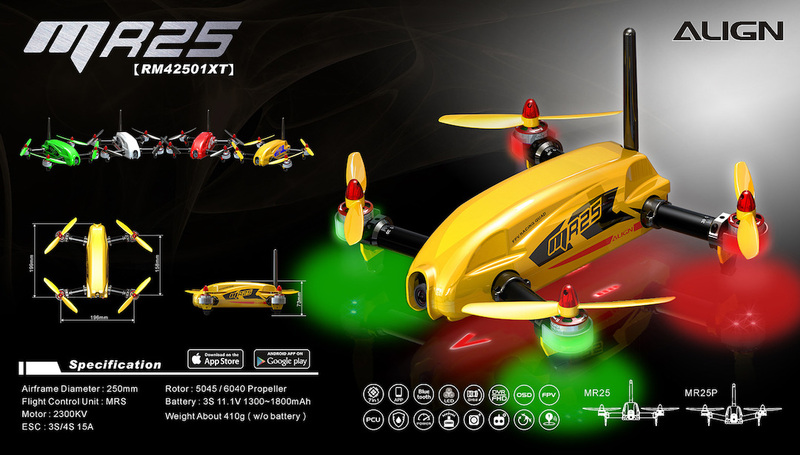 Flight time approximately 9 minutes with 3s-1300mah battery.